Every attorney at Decker & Jones knows how difficult it is to walk into a courtroom when life as you know it may change dramatically before you exit the courtroom. Whether you’re facing a family law situation that stands to impact your quality of life, as well as the lives of your children, or you’re facing a criminal charge that could potentially take away your freedom or permanently mar your future, maintaining your current quality of life depends upon the decisions reached on your day in court. In such a situation, you need an attorney who is knowledgeable, experienced, and passionate. You need an attorney who will be relentless in the pursuit of your best interests whether that means engaging in skilled negotiations, reaching a settlement, or undertaking aggressive litigation. The attorneys at Decker & Jones offer the expertise and the diligence necessary to craft the strategy that will be the most effective in achieving the outcome that you seek. The criminal defense attorneys at Decker & Jones are among the most reputable and experienced trial lawyers in the Denver metro area. If we take on your case, we will thoroughly prepare for trial in case so that you know what your chances are before the prosecution starts making offers to settle the matter. Ultimately, whether your case is dismissed, charges are reduced, or your case proceeds to trial, you can rely on your attorney at Decker & Jones to ensure that you receive the best criminal defense that can be had. The sooner in the process that you consult an attorney, the better your chances are of achieving the outcome you seek. Family law is complex and fraught with potential wrong turns that can negatively influence the outcome of your case. Not only that, but going up against an opponent who is more prepared than you are is a sure path to disaster. The smartest move that one can make when a family matter must go to court is to secure intelligent, proven, and experienced legal counsel early on. Though family and friends are often eager to provide moral support when legal matters are looming, there is no replacement for sound legal counsel when it is time to make decisions that will impact your life and the life of your family well into the future. Whether your case is highly contentious or all parties are resolutely working toward a smooth process, the court still has guidelines that must be followed. Without the support and expertise of a skilled family law attorney, it is easy to do damage to your case despite your best intentions. Contact Decker & Jones in Denver or Golden, CO when you need an accomplished legal team that will exercise superior legal acumen to help you get the results that you need. To benefit from decades of combined legal experience in family law and criminal law that is available at Decker & Jones, simply fill out the convenient online contact form or call our Golden or Denver offices at (720) 443-5576. When you contact Decker & Jones to schedule a free initial consultation and learn about the legal options available to you, your call will be returned within two hours. We accept credit cards and can also create payment plans for our clients in need. Contact Decker & Jones today for your free consultation. Even if you don’t choose to retain our services, you will come away from the consultation with a better understanding of what you’re facing with regard to your legal situation. David is simply "THE BEST"
5 Stars for D.R. Jones! 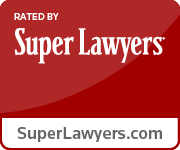 In Need of Serious Criminal Defense? 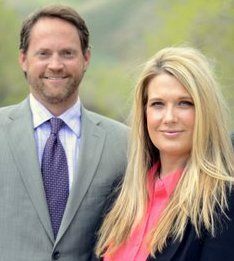 The Colorado Law Offices of Decker & Jones are located in the cities of Denver and Golden. We represent clients in the cities of Denver, Golden, Lakewood, Evergreen, Conifer, Arvada, Littleton, Broomfield, Westminster, Wheat Ridge and Thornton, as well as other cities in and around the Jefferson and Adams County areas.